"Campaign against building on Ham Lands 1 - David Williams 07". "Campaign against building on Ham Lands 2 - David Williams 08". "Campaign against building on Ham Lands 3 Valuable Environment - David Williams 09". "Girl murdered by Teddington Bridge - Michael Facey 28". "Lorries filling in the pits with rubble - Cannell Benmore 13". 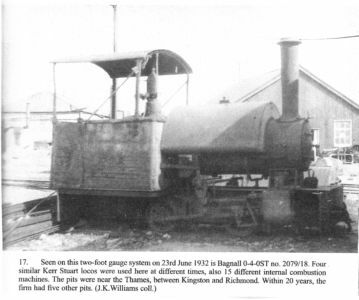 "Lorries to and from the PIts after the war - Frances Forward 07". 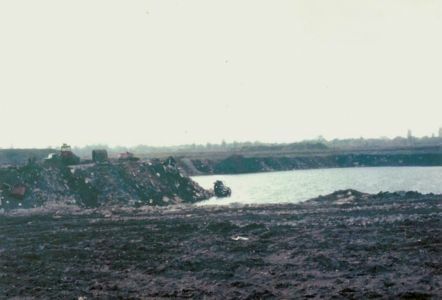 "Lorry Accident as the Pits are filled in - Chris Linehan 22". "Playground Dangers of the Pits - Chris Linehan 21". "Playing Football on Ham Lands - Chris Linehan 14". "Playing in the pits - Chris Linehan 11". "Playing on the Pits - Cannell Benmore 12". "Playing on the Pits - Michael Facey 07". "Swimming in the pits - it was shallow and deep - Michael Facey 08". "Testing Leyland trucks on Ham Lands - Chris Linehan 43". 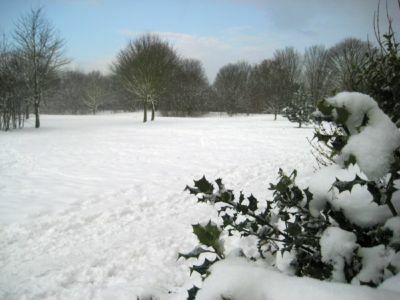 One of Ham’s great assets is the riverside open space of Ham Lands. It covers about 200 acres. 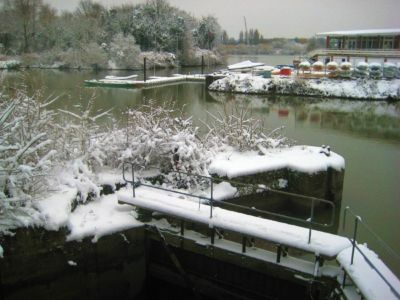 From Teddington Lock downstream to Petersham we have a quarter of a mile open border to the Thames. It was planned as far back as 1945 but later threatened with building. 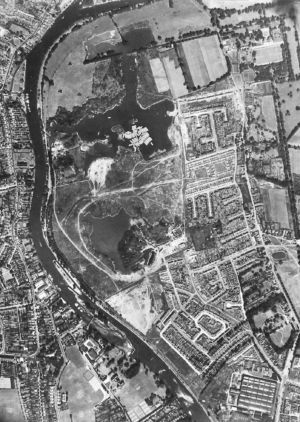 Most of Ham Lands had been excavated for gravel in the early 20th century then filled in from 1939 to the early 1950’s. 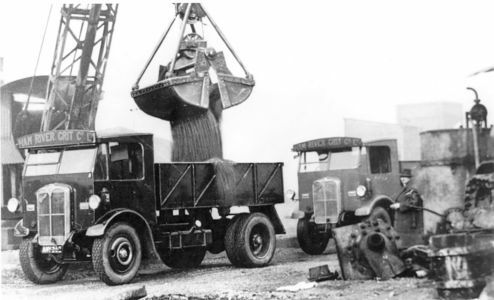 Ham River Grit Company must have extracted millions of tons of river gravel. In 1960 Wates got planning permission for the present 70 acre estate and building started in 1962. Wates were refused permission to build on 33 acres nearer the river but managed to sell the land to Richmond Council at housing land price. The Council then planned to build on 15 acres next to Beaufort Court and Riverside Drive. The first scheme proposed in the mid 1960’s for several 8 storey blocks of flats was eventually dropped and by the early 1970s the plan for the 15 acres was social housing. The new plan went to public enquiry in 1973. The Ham Lands Action Committee was formed by all three local amenity societies and the local branches of all three political parties. The Action Committee fought the public enquiry but lost. Nothing happened for several years then Richmond Council sold 5 acres for a private development, rather than social housing, to the builders of the Locksmeade Estate. 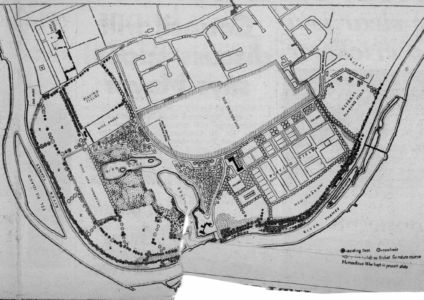 Early in 1983 the council announced plans to develop the second five acres next to Locksmeade. 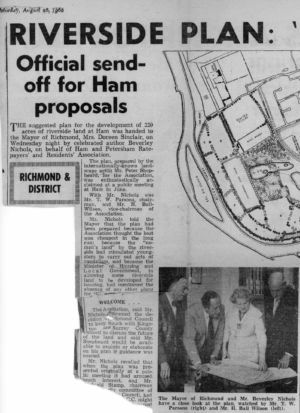 These plans provoked further protest and the Ham Lands Action Committee was revived. 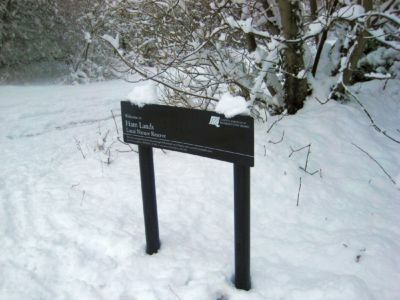 By this time the value of Ham Lands for its plants and wildlife had been recognised. 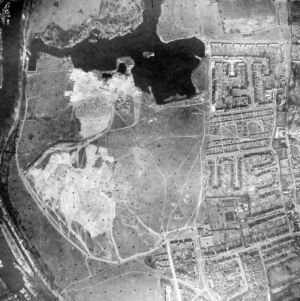 The bomb damage infill form the Second World War had produced wide variations in the soil and fertility which still continues to evolve. A public meeting held in September 1983 was attended by 170 people all protesting against the proposed development. Subsequently the Planning Committee voted unanimously to drop the plans but at the next Council meeting the decision was deferred, only finally being made in November 1983.